Congratulations to our Client Diva Deva for their feature on Bold Bright Beauty! Diva Deva providesÂ unique anti-aging products for your skin, which are safe, effective alternatives to cosmetic surgery. 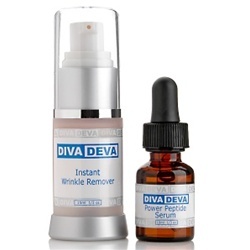 The Instant Wrinkle RemoverÂ can be used on both men and women and most skin types. InÂ less than one minute, it reduces fine lines, wrinkles and sagging for an instant younger look. ItÂ canÂ be applied to the entire face and neck and can be used as an instant face lift. Check them out at divadeva.com!